The 1.25-mile project extends between MD 124 (Montgomery Village Avenue) and the Great Seneca Creek crossing near Game Preserve Road in Gaithersburg. The I-270 Corridor is regionally known as the Technology Corridor and is home to dozens of thriving businesses and planned development in the Gaithersburg area. Montgomery County contributed $4.9 million for the design and engineering phase of the project. 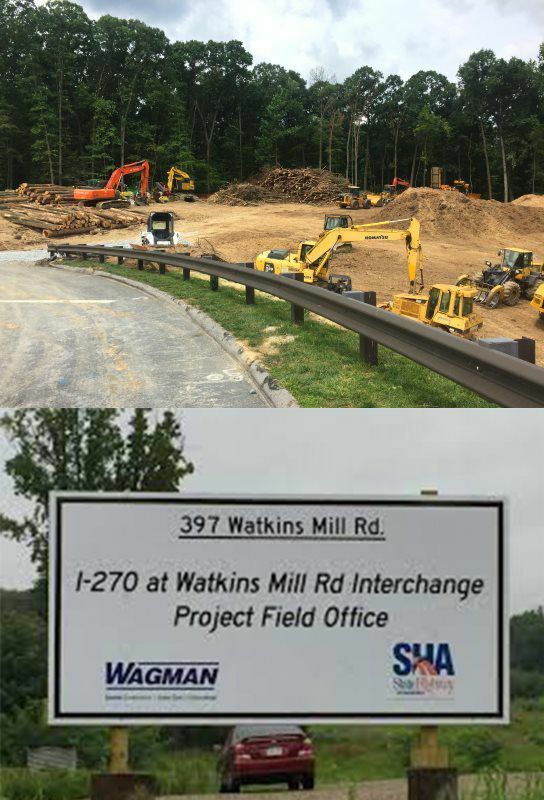 The I-270/Watkins Mill Road interchange will include a new four-lane bridge over I-270, with connecting entry and exit ramps that will provide direct access for interstate travelers. This connection will reduce congestion at the I-270/MD 124 interchange and the MD 124/MD 355 intersection. 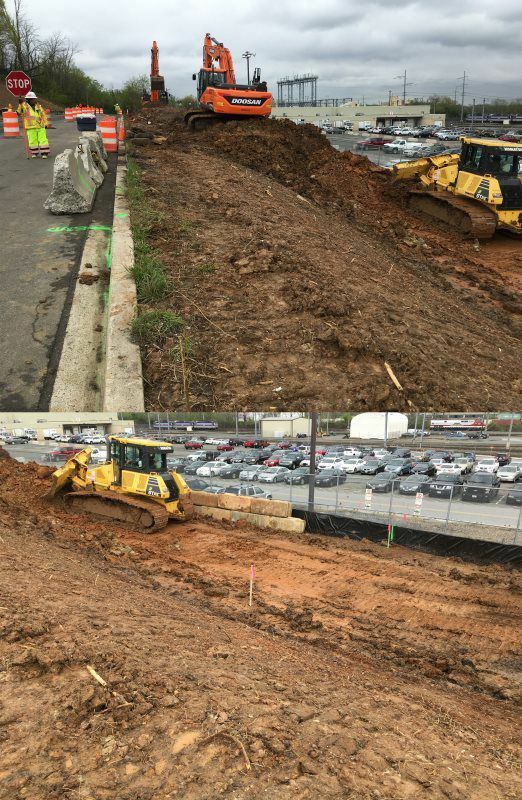 Additional work as part of the project includes resurfacing the I-270 collector/distributor lanes and a section of Watkins Mill Road, constructing retaining walls, extensive stream restoration, and construction of culverts and drainage structures. The project is scheduled to complete by Summer 2020. The Purple Line is a 16-mile light rail line that will extend from Bethesda in Montgomery County to New Carrollton in Prince George's County. It will provide a direct connection to the Metrorail Red, Green and Orange Lines; at Bethesda, Silver Spring, College Park, and New Carrollton. The Purple Line will also connect to MARC, Amtrak, and local bus services. Construction will be conducted in a phased approach, starting with utility relocation, next storm drainage installation, and rebuild of roads which include setting tracks. The $140 million installation of two underground drinking water tanks, expected to be completed in March 2022, will temporarily disrupt recreation in a popular section of the city's largest park. But it ultimately will create 14 additional acres of land on the western end of the reservoir, where the water tanks are to be buried. The new green space will include an amphitheater and wider, better-lit walkways. The remainder of the 146-year-old reservoir, known as Druid Lake, will be available for recreational activities such as fishing and kayaking. 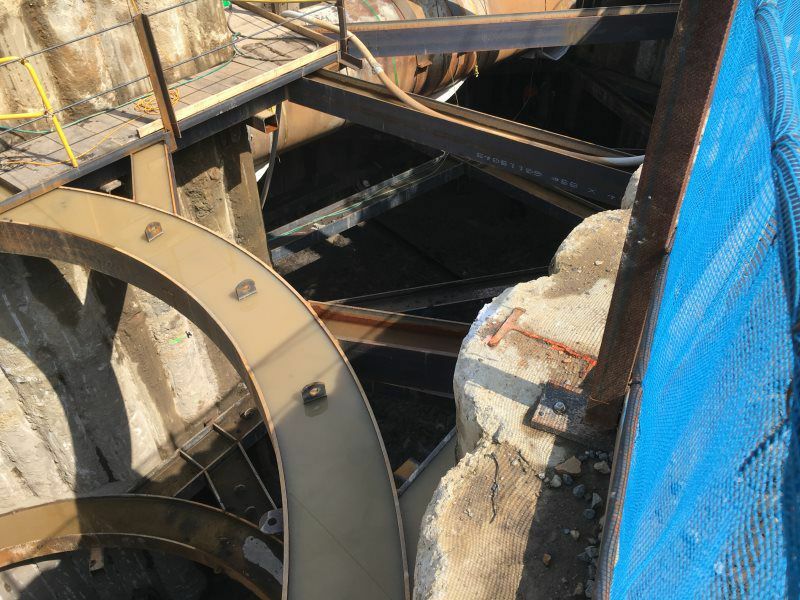 The Northeast Boundary Tunnel (NEBT) is a large, deep, sewer tunnel that will increase the capacity of the existing sewer system in the District, significantly mitigating sewer flooding and improving the water quality of the Anacostia River. 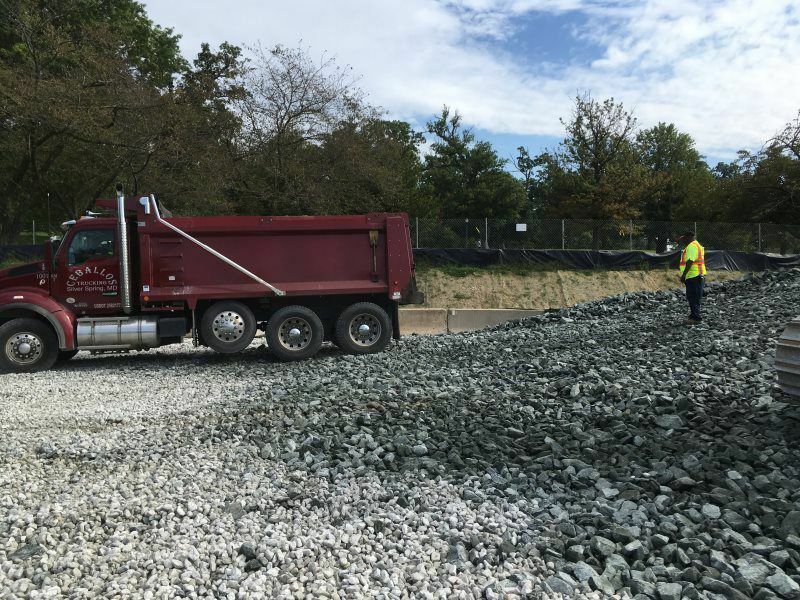 The NEBT is the largest component of the Clean Rivers Project and construction began just south of the RFK Stadium and extend north to Rhode Island Avenue and west to R Street NW. 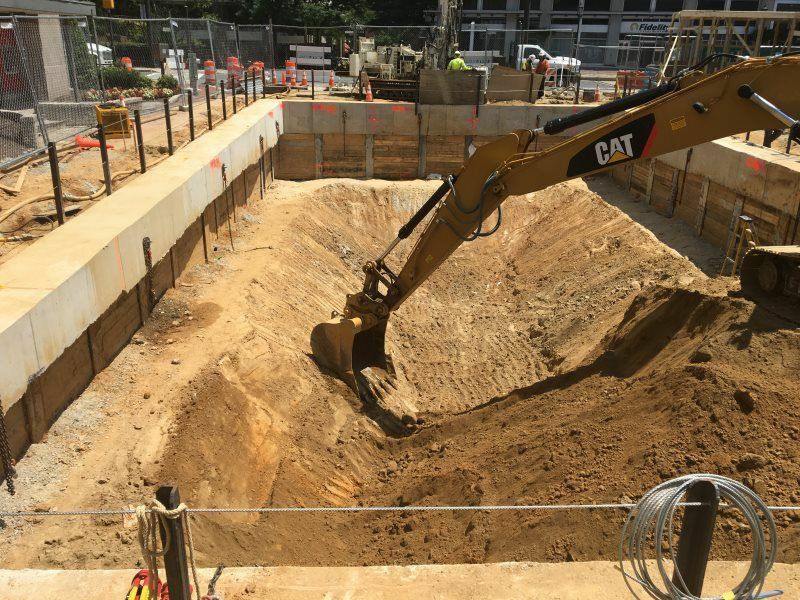 In addition to the tunnel, DC Water will be constructing diversion facilities along the tunnel alignment to capture flows from the existing sewer system and divert them to the tunnel. 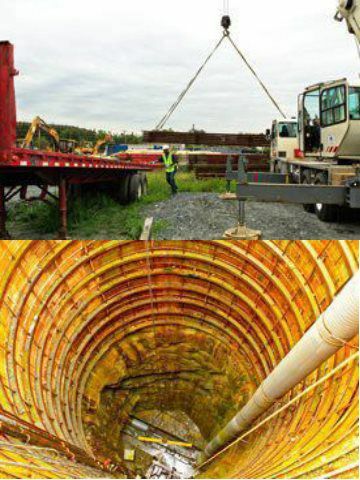 The NEBT will connect with the First Street Tunnel and Anacostia River Tunnel to provide a complete gravity system from Northwest DC to Blue Plains Advanced Wastewater Treatment Plant, where all flows captured by the tunnel system will be delivered for treatment prior to discharge to the Potomac River. The Bulldog Group is responsible for supplying the aggregate material and hauling off of all of the tunnel spoils to approved disposal facilities for the Bi-County Tunnel project commissioned by the Washington Suburban Sanitary Commission (WSSC), to complete the largest tunnel construction project to date for the construction of a 5.3-mile/10-foot diameter underground water tunnel connecting water supplies in Montgomery County and Prince George County. Additional services include assembly of rail lines for the Bi-County Tunnel project’s underground tunnel locomotive system and delivery of rail lines and fresh-air ventilation pipes. 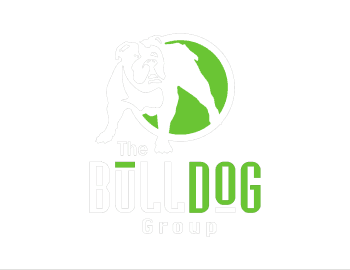 The Bulldog Group was the subcontractor on the construction of a raw water intake tunnel system. 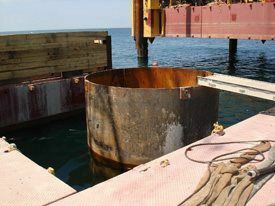 The project included approximately 6,000 linear feet of 10-foot diameter intake tunnel with a 5,000 linear-ft. section underneath Lake Ontario; an intake crib structure; an outfall structure; chemical and sampling piping and supports out to the intake structure; a riser well with structures to accommodate future screening equipment; and pump adits to accommodate future pumping equipment. SMITHSONIAN'S "OUT OF ONE, MANY"
Cuban-American artist Jorge Rodríguez-Gerada’s “Facescape,” located between the WWII and Lincoln Memorials in Washington, D.C., is the largest gravel, sand and soil portrait ever commissioned by the Smithsonian National Portrait Gallery. 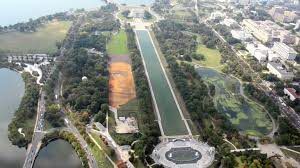 Created on a six-acre stretch of land, the portrait, called “Out of Many, One,” is a composite of more than one hundred people photographed in D.C. The project requires some 2,000 tons of sand and 800 tons of soil. 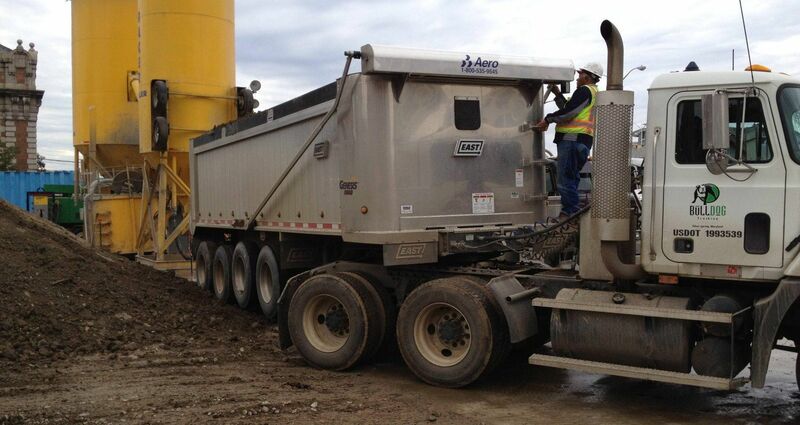 Bulldog Group hauled more than 100 loads in its dump trucks. “’Out of Many, One’ highlights the important role that stone, sand and gravel has in our country. Just as sand and gravel are essential to this portrait, aggregates are literally the foundation of our economy and society. To more deeply explore and provide a home for new ways in which the arts, education, and community intersect, the Kennedy Center has embarked on the first major expansion in its history. Renowned American architect Steven Holl has created an innovative design that preserves the silhouette of the current building and adds three pavilions visible above ground: a Welcome Pavilion to introduce guests to the expanded campus, a Skylight Pavilion overlooking the new landscape, and a River Pavilion adjacent to the Potomac River. The facilities will include studios, rehearsal rooms, media-ready classrooms, a traditional lecture hall, space to accommodate critical education programs, an outdoor wall for simulcast and video presentations, and a café/bistro meeting spot.